I became an Irish citizen in 2007 and today have what is known as an Australian Irish ‘Duel’ Passport. 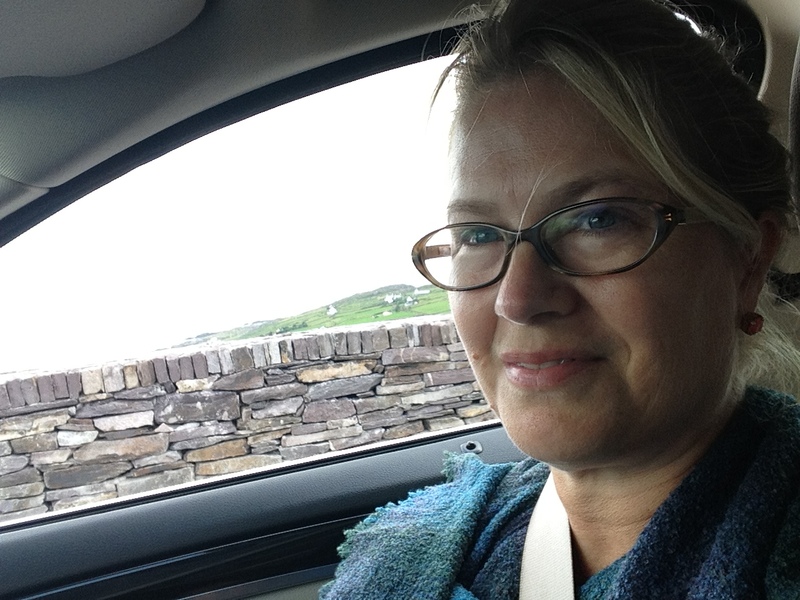 My first visit to Ireland was late August 2013. At that time I had a few photos and even less information about my Irish ancestors or the history of Ireland and the region where they came from. Many of the photos I gathered and used for this website came from a chance meeting on that road trip with one relative and the subsequent ongoing research that continues today. My grandfather was James Joseph Judge. He was born in 1889 in Carracastle, Ballaghadereen, County Mayo Ireland. He immigrated to Australia in the early 1930’s and became a publican of several large hotels/pubs in Queensland, Australia. His descendants knew very little about his Irish history, because he didn’t speak of it, excepting to mention his Father’s surname and where he was born. Before I left Australia I met with an Irish historian and brilliant story teller of all things Irish, including some invaluable background on the shires or counties in Ireland and importantly what to and or not to see on my family tree research trip. Today I highly recommend to anyone, about to embark on a similar journey to seek out and connect with such an expert or two. It makes such a difference. I only had one week to spend there and welcomed any advice to ensure my time was well spent. I located my great, great grand parents graves, their farm and met with my fathers’ second cousin, who today owns the family property. His excellent memory provided some very useful information going back several generations, including several relatives living in the USA. This site is a result of that trip and the subsequent family tree research conversations. I started, quite by accident collecting family history in 2001, when our daughter brought home a school history assignment, which necessitated building a family tree using Ancestry.com. I found a bunch of old albums, photos, only three photos of my grandfather and a few births, deaths and marriage certificates. This was enough to start my research, patchy as it was. Family history and my past relatives and their stories I soon discovered could soon be easily lost, because so few people share what they have and or have the time or the inclination to keep up with it all. I was curious to learn more and connect with Ireland and its rich history because of the mysterious gap of information we had within my family. It seemed such a shame our father was was unfamiliar with his Irish ancestry, particularly the story of his proud and strong grand parents, John and Catherine Breheny of Carracastle, County Mayo, Ireland and their relatives. The questions we had about why our Grandfather immigrated to Australia and why he spoke so little of his past, triggered my journey to learn more . For more information on this go to the ‘Research Steps’ page on this site. Click on the title FAMILY MATTERS above to learn more. The Breheny’s spelling throughout this sight and on the family tree linked to it, there are several slight variations according to the census of 1901, of the spelling of Breheny into Breheney. Importantly so as to embrace the philosophy of continuous improvement we welcome your ideas, facts and or feedback comments on this site and or anything else presented. There will be certain to be some bits of information that are not correct. I have put down things the way I found them, and things were often wrong on census forms, other handwritten documents, records written down from the spoken words of a citizen, but written the way the scribe thought it sounded, often because the citizen in those days could not read or write. Sometimes people in recent times have given me or someone else information they thought to be accurate, but turns out to be not quite right. I can only say I have made every effort to get things down correctly, but inaccuracies are bound to exist. i just noticed you post. no i am not living in Ireland. i live in New York. would certainly be interested in any connections you may have found with the Teatom family from Carracastle. I wonder are the Tatums you are looking to contact from ‘Calvara’ Carricastle? I think my Aunty Maureen Nee Regan of Cloonlumney told me we were related to them but she didn’t know how we were connected. Might I suggest you drop them a line as somebody there has to be looking after the old Home that I think is now closed. From memory there was a Jim there. Alternatively I am happy to do that for you when I am next in Cloonlumney (probably Summer)? Marty has done the job for me on the gravestone front in Carricastle. Francis Breheney of Cloonlumney was my Great Uncle. Anything further just prompt me and I’ll do what I can as sure Family matters. Hi Frances, sorry it has taken me forever to reply to your comment on the judgeancestory.com website. I only look at this website I created after my holiday to Ireland in 2014 every now and again. I do think there is a relational link to the Regan’s….because I live in Australia it is tricky or challenging to have the time and or the $ to go purchase all the family tree records. We have made a great start on the family tree research, but long way to go. Jim Coleman purchased my great grandmothers farm ( he was her nephew on her sister’s side of the family). So I think my father’s cousin once removed…but not sure about the once removed bit..(how it works I mean). The old home, well was not the main house but the ‘Granary’ remains and has been carefully restored on the property. So interesting as my Great Grandmother, and Father and their children that did not emigrate to Australia and US used to live on the top floor of the Granary for a time, until the main house was built. It eventually got deconstructed and bit of a mystery really what happened to the main house…which I think originally housed several generations of the Breheny’s clan in Carracastle, Ballaghadereen, County Mayo. So I think Francis Breheney would be a relative…but any records about him or even a photo of the gravestone would be something we could add to this website. Many thanks and please feel free to get in touch. My mother’s family are Judges from County Mayo. I’m wondering if we are somehow related. I don’t know anything about her lineage except her father was Joseph Judge and I’ve been told they are from Mayo. I’ll need to do some digging now.